When people hear the word “newsworthy,” the first thing that usually comes to mind is breaking news – a storm’s landfall, an armed burglary, Donald Trump saying anything. However, newsworthiness is defined in different ways. Breaking news falls under the umbrella of one of the main characteristics of newsworthiness: timeliness. As you’ll read in this post, many other characteristics can make something newsworthy. Knowing these will provide you with key insights into how to make content that will interest audiences and publishers alike. Here are six facets of newsworthiness that you can incorporate into your content marketing. Let’s start with the most obvious one – the reason we always think of breaking news – timeliness. If something is timely, it has just happened. It is also currently relevant and significant to a large number of people right now. People almost always want to stay informed. Unfortunately, most content teams aren’t poised to pounce on actual breaking news faster than newsrooms, especially if it’s an agency that needs client approval before publishing. So how can you incorporate timeliness in your content strategy? Use tools like Buzzsumo to search for topics relevant to the brand you’re building content around. Look for patterns in content that are most shared. These patterns can indicate trending topics, and you can leverage this timeliness. What data hasn’t been analyzed? What perspectives have yet to be explored? Who else might be impacted by this topic or information? These questions can help you identify information gaps and serve as great launching points for content ideation. We created a client campaign called “Perceptions of Perfection,” which involved asking graphic designers around the world to Photoshop an image of a woman based on their country’s beauty ideals. The subject of body image, particularly involving women, was appearing a lot in the media, and our creative team wondered what was missing from the conversation. They identified a new angle that hadn’t been explored yet. What if we looked at different countries’ beauty expectations side by side? In creating content around this new angle about a timely topic, they tapped into something truly compelling, resulting in a project that garnered more than 900,000 shares. In general, people care more about what’s happening near them, unless the event is particularly significant (we’ll get to that in the next section). Obviously, you don’t have the resources to know what’s happening in every city across the United States, so how can you create local stories? When you’re brainstorming ideas, consider concepts that include a geographical angle. Content that illustrates breakdowns by state, for example, performs well because people love to see the results of their state. It’s a form of ego bait with a high success rate. Start with a broader concept and explore how you can collect national data that can be distilled down to a regional level. 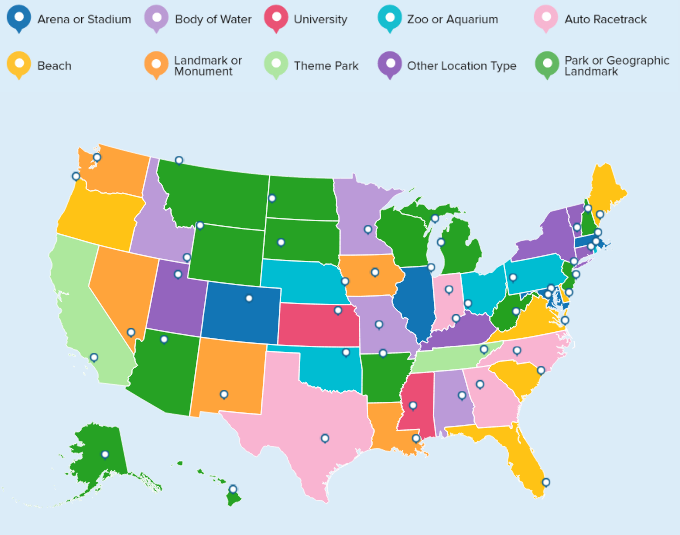 Then, when creating visual assets of your findings, consider which geographic locations had the most interesting results and create small assets specifically calling out those cities or states. Our “Most Instagrammed Locations” campaign is the perfect example of content that can get top-tier national coverage while leveraging the power of local news outlets. By creating assets, including an interactive map, that showcases the most Instagrammed places per state, we created tailored angles for localized news outlets all across the country. Some of the extensive regional coverage included the Palm Beach Post, Boston.com, and the Houston Chronicle. At first glance, significance might seem a little vague and unhelpful. Obviously, something significant is going to matter more than something insignificant, right? These questions typically go hand in hand. If something happens that impacts a huge group of people, whether in their day-to-day lives or emotionally, people are going to want to know about it. Emotions play a critical role in whether or not people decide to share content they see. You can’t tap into these emotions if you don’t understand who you are producing the content for. Applied directly to the subject at hand, if you don’t know who the content is for, how can you attempt to anticipate if they will consider it newsworthy? This leads us to question number two. Sometimes, it’s the quiet, one-off cases that need to be told to raise an issue to the greater public. So always make sure to consider both questions when assessing if something is significant enough to write about. Who will care about this? How many people might care about this? Why would they care about this? Not only will this allow you to decide if the idea is worth pursuing, but it’ll also provide you with more direction as to why it may be an important story to tell and what might be the best way to tell it. 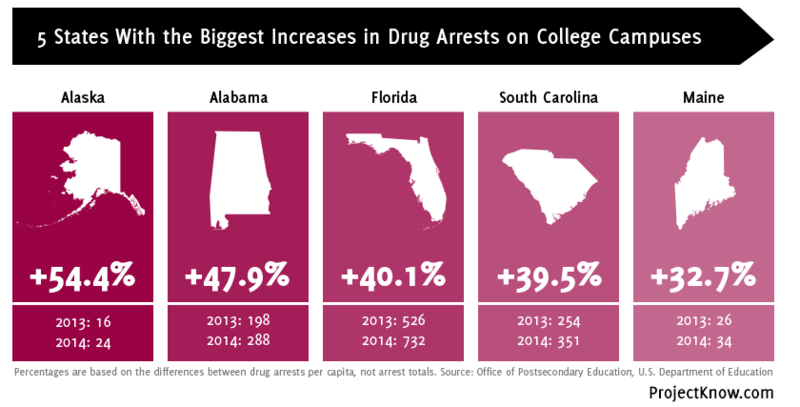 Our project “Drugs on Campus” involved analyzing the Office of Postsecondary Education data to track the rise and fall of arrests and disciplinary actions related to drug or alcohol offenses at colleges. The content was not only important for college students to know, but also parents who are concerned about their kids, as well as the general public. This allowed us to explore solutions to help young people avoid paths that lead to drug or alcohol abuse. Top news outlets agreed, and we secured coverage on sites like U.S. News and The Huffington Post. This one is next because it’s the perfect complement to Feature/Slice of Life. If you can find specific examples of a trend and then explore the trend overall, you’re in great shape. Why? You hook them with the emotional story, and then seal the deal with compelling evidence. It’s a match made in content heaven. In general, data journalism means taking complex, extensive data sets and distilling them down into something an everyday person can understand. For example, if you put a spreadsheet of every real estate sale in Manhattan in front of readers, you’ll see their eyes quickly glaze over. But tell the same people which neighborhoods are seeing a more rapid increase in value over others, and they’ll be interested in your conclusions. If you find a comprehensive data set you think could have the potential to reveal truths about a certain topic, the first step is to decide how you’re going to filter it to reveal the insights. Remember: Don’t go into the project with an agenda. Make a list of unbiased questions you have when looking at the data, and then decide which of those questions you want to find the answers to and how. Once you have the results, consider their significance. If the insights are emotionally compelling and present something new about the topic at hand, decide the best way to illustrate the story behind the data for potential readers. 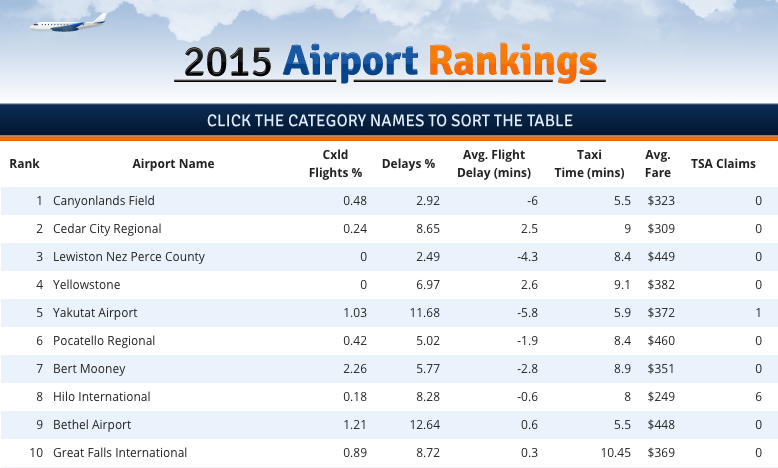 Our campaign “2015 Airport Rankings” used data gathered from the Bureau of Transportation Statistics to create an original ranking of the best and worst airports based on a variety of categories, like average flight delays and number of TSA claims. We took a bunch of data that basically no one would have glanced at and took the time to analyze it to create simple, straightforward lists of the insights we gained. A combination of these elements leads to coverage on sites like Yahoo! with almost 200 comments. You’re probably thinking, “This is gonna get interesting.” That’s the beauty of weird stuff – it’s almost inherently interesting because it’s bizarre! It’s unexpected! It’s the Lady Gaga Meat Dress of content! Why do we love the bizarre? It’s surprising. And this helps content marketers because according to our research, a surprise is one of the top positive emotions that leads to sharing. The best part about this world is that there are so many weird things going on all the time. If you look hard enough, you’re sure to find something unique to focus on for your content. User-generated content will help you see what people are talking about, and sometimes the conversation can get weird (yay! ), providing great inspiration for you to see what avenues may be worth exploring. Also, check out the bizarre/weird news sections of local and national newspapers, and see which stories are getting the most engagement and why. Which other newsworthy characteristics do those stories meet, and how can you find the same combination of qualities to use for your own content? Buckle up, because this content example features some serious sexual innuendo. 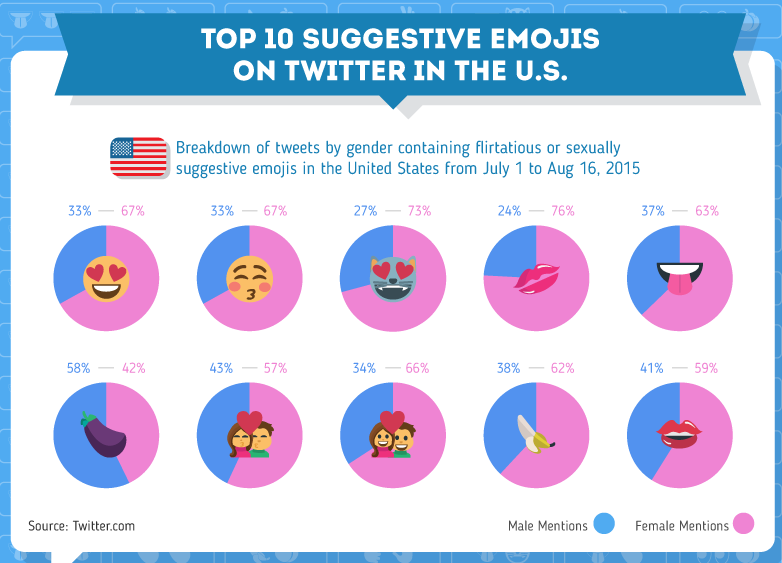 Our campaign “Sexually Suggestive Emojis” scored coverage on the New York Daily News, People, Glamour, Bustle, and more. Is this content pertinent for our national security? No. Do you see it and think, “Now my life is enriched and fulfilled?” Um, maybe. Is it a novel take on a campaign? Absolutely. If you can get weird enough while remaining relevant to a lot of people – as this content does – you may just set yourself up to score (pun intended). When you break up with someone, your family and friends care and support you. But when Brad Pitt and Angelina Jolie appear to be splitting up, the entire world starts to tear apart at the seams (at least through Perez Hilton’s eyes). That’s the power of fame. People feel connected to celebrities and hot topics/trends because these pop culture icons are always present in the media. When so many people are familiar with famous people/things, it forms a natural, inherent connection between readers all over the country (or even the world), making content significantly more engaging. First, make a list of any trending topics within the niche you’re exploring. Who or what is buzzworthy in that industry? How can you incorporate that person or topic organically into your content to leverage the popularity? If you stop there, you’ve done yourself a disservice. To really leverage the fame quality, you have to think beyond your own niche and consider what is generally popular, whether it’s Adele, Pokemon, pumpkin spice lattes, etc. This becomes a fun creative game: Are there any ways your general industry area could relate to these popular things? Brainstorming in this way can lead to fun, innovative connections, which is a great start for a content campaign. Fans of Harry Potter, Star Wars, Disney movies, and more (which are, not coincidentally, huge fan bases) can relate to the content and find something they enjoy. Creating a campaign like this and then timing the promotions right before something new is released (like the next book in a series or a movie debt) can really help maximize your results. 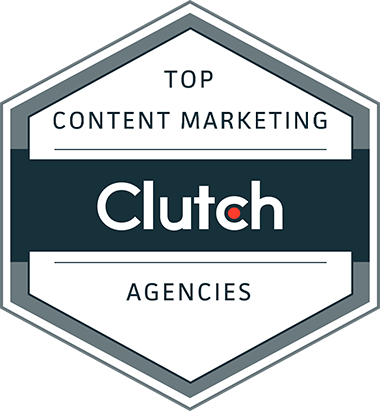 Ideally, your content will have at least a couple of these qualities, as that will increase its likelihood of succeeding. In the end, there’s no magic bullet for what makes content newsworthy. Sometimes publishers and the public will be fascinated by things that don’t make sense on their face, and other times they won’t go for content you think they should. The important thing is to develop a process where you are hitting and producing newsworthy content for publishers far more than you are missing. As long as you know who you are producing content for and why they should care, you are a long step closer to that goal. Along the way, don’t forget to tweak your content ideas to be appealing to as many people as possible. A good way to approach ideation is to start with one of these qualities, come up with a list of ideas, and then see how you can refine those ideas to reflect the other characteristics as well. No matter which qualities you aim for, remember that no one will find value in something that’s just repackaged. Don’t forget to always present something new to publishers and readers. Want more tips on how to make your content stand out? Read about our content development services and consult with Fractl today!